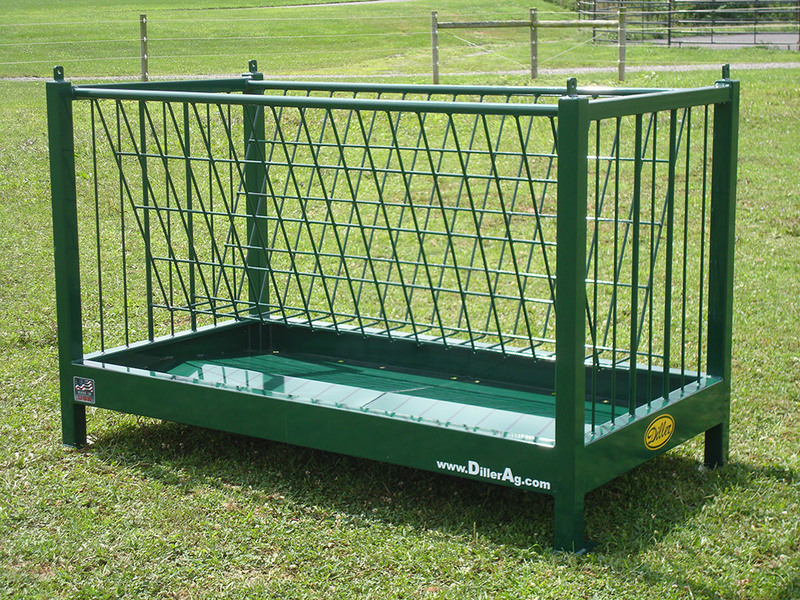 In 2013 Diller Equine introduced a line of horse hay feeders designed to feed small square bales. Diller's large hay bale horse feeders have been popular for years, but many owners with a smaller number of horses still prefer to feed with small square bales. 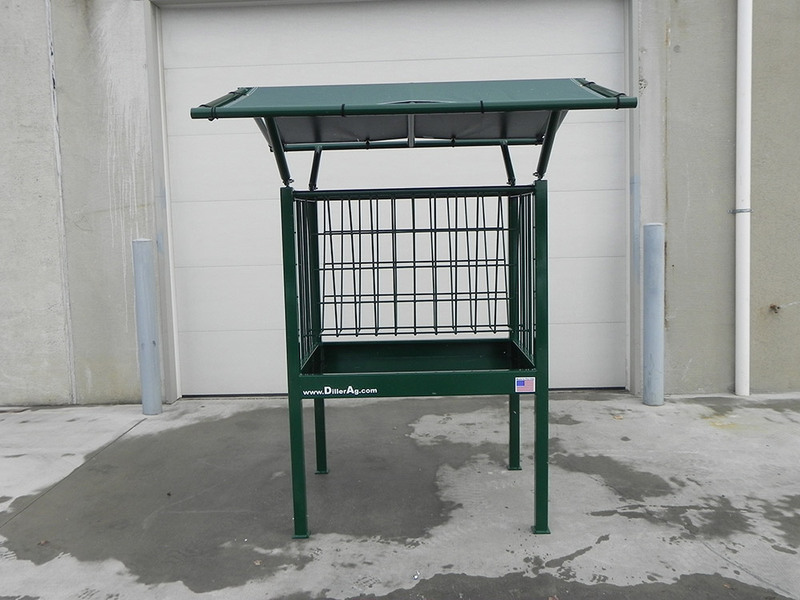 The 4200H series is 42 inches wide with a choice of 4ft. 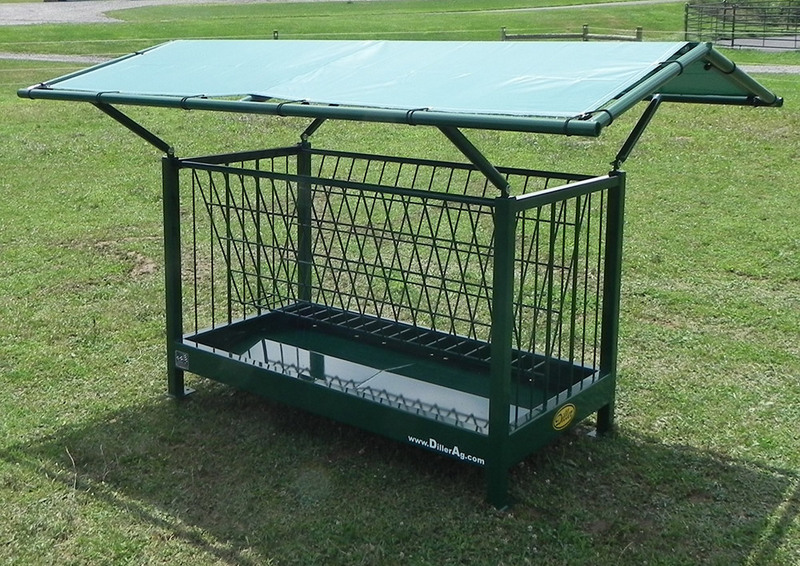 or an 8ft. lengths. 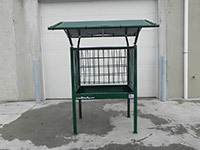 The 4ft. 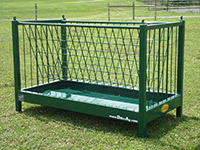 HF-4248H hay feeder will handle 2-3 small square bales and is perfect for feeding 1-3 horses, the larger 8ft. 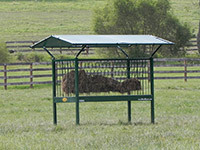 HF-4296H will handle 4-6 bales and is suitable for up to 6 horses. 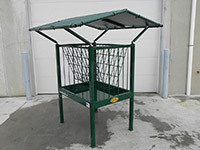 Both of these horse feeders feature a hay saving basket that limits the amount of hay pulled from the feeder with each bite, reducing waste and slowing consumption. 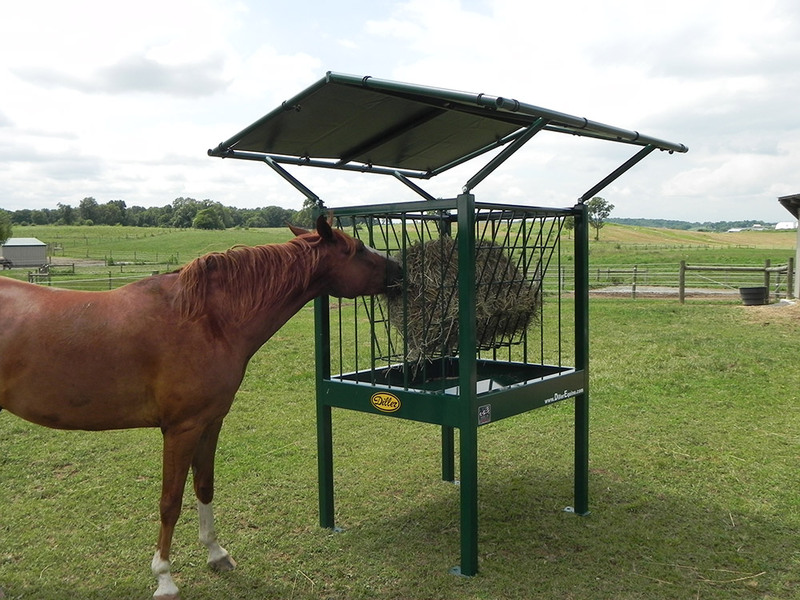 The 42" wide feeder pan catches any hay that falls as the horse feeds and virtually eliminates ground waste. 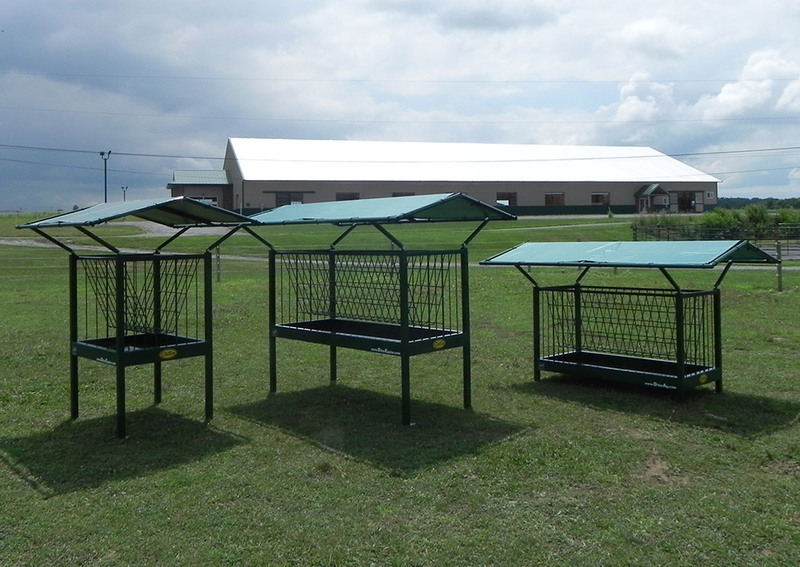 Both feeders are available with an optional roof kit that protects the hay from bad weather, the HF-4248H roof is 6'x6' and the roof on its larger brother measures 6'x10'. 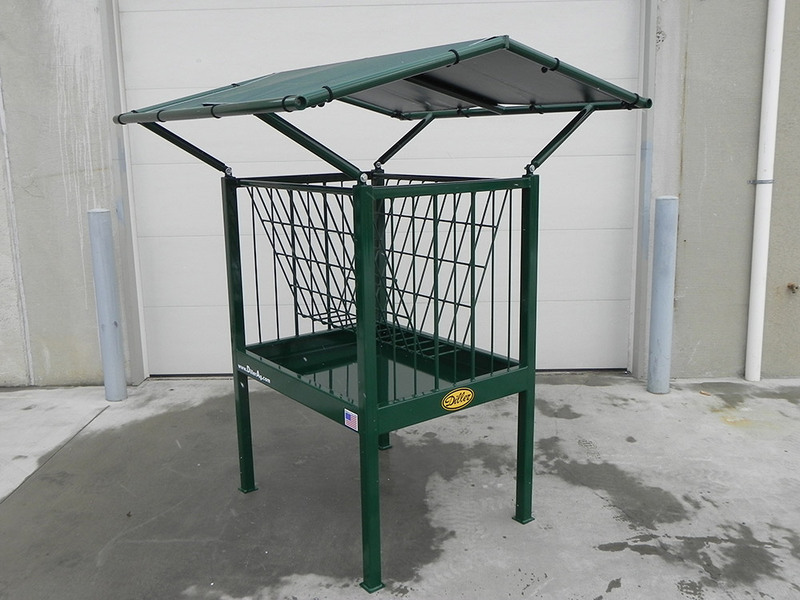 Diller's small square bale horse feeders are built to last, with heavy sch.40 pipe, 12 gauge steel pans and 11 gauge steel tube frame. 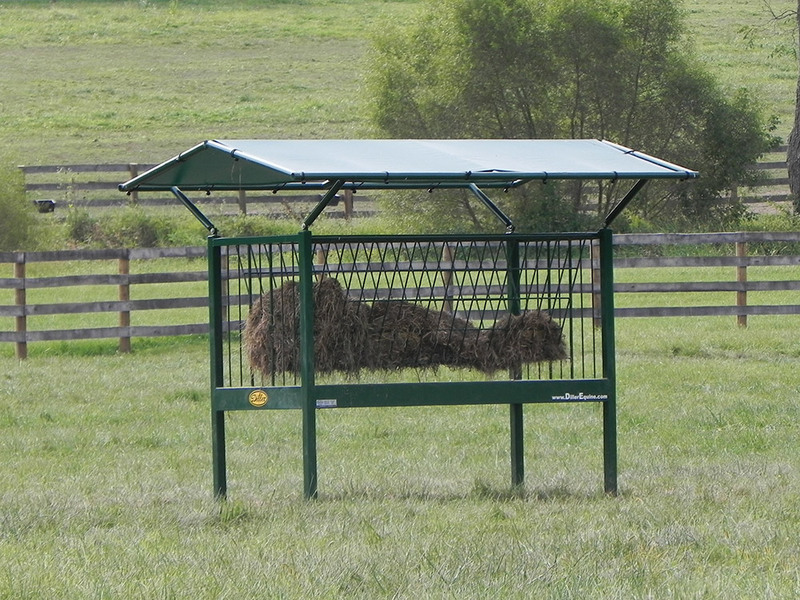 An investment in a Diller horse feeder will last for decades and will reduce wasted hay.